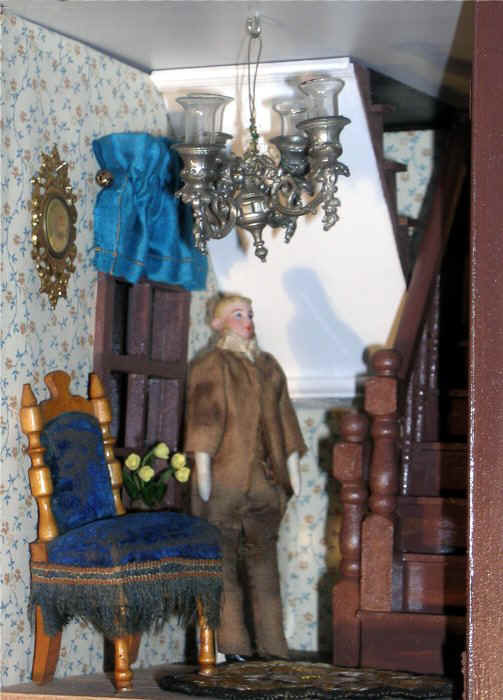 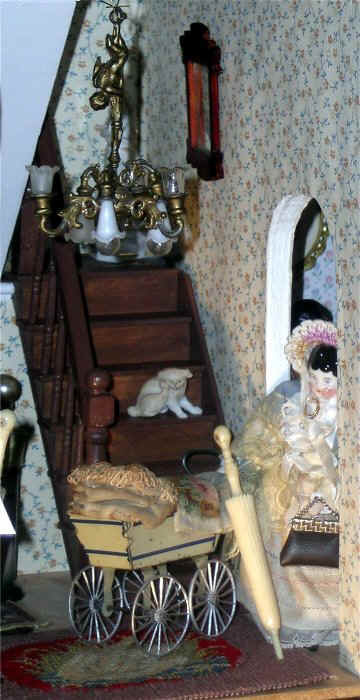 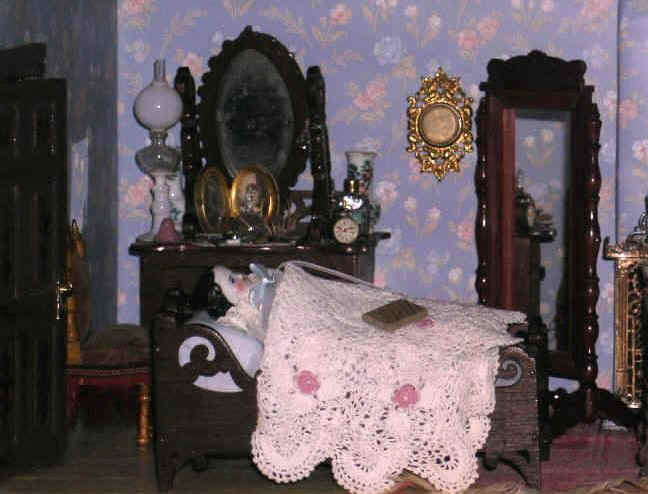 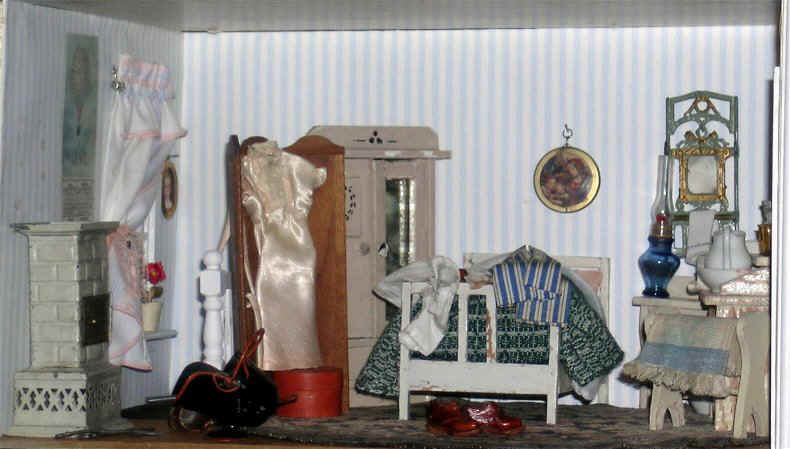 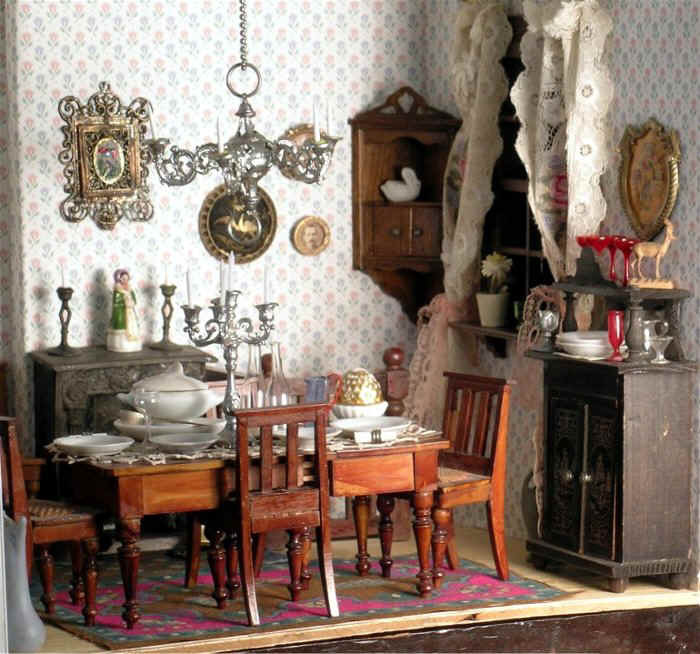 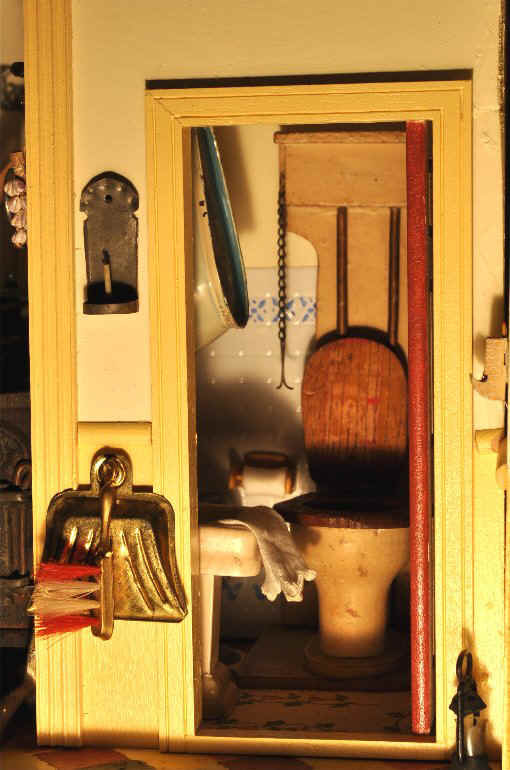 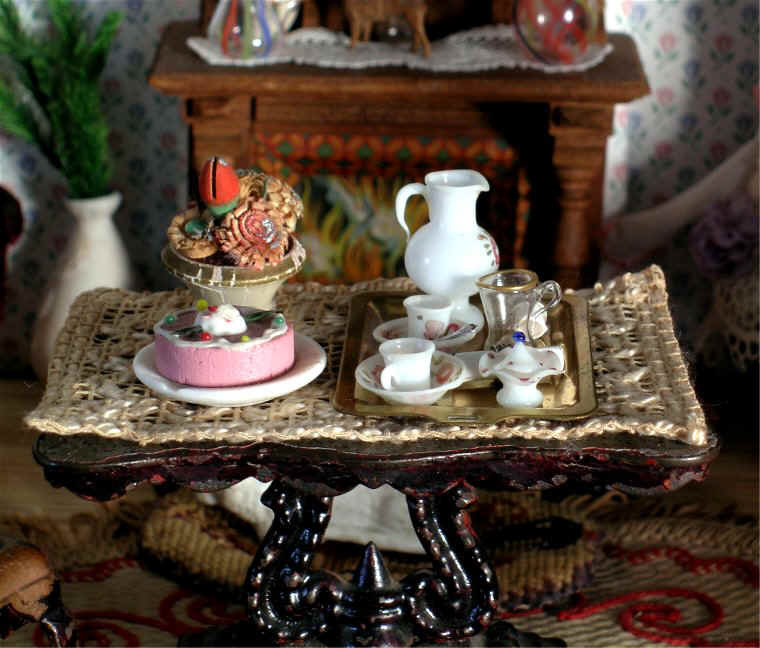 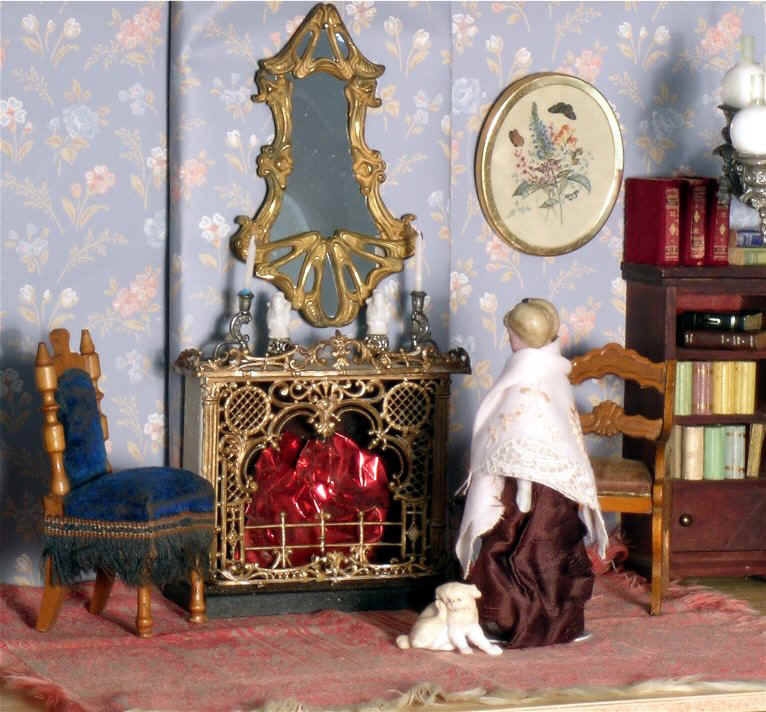 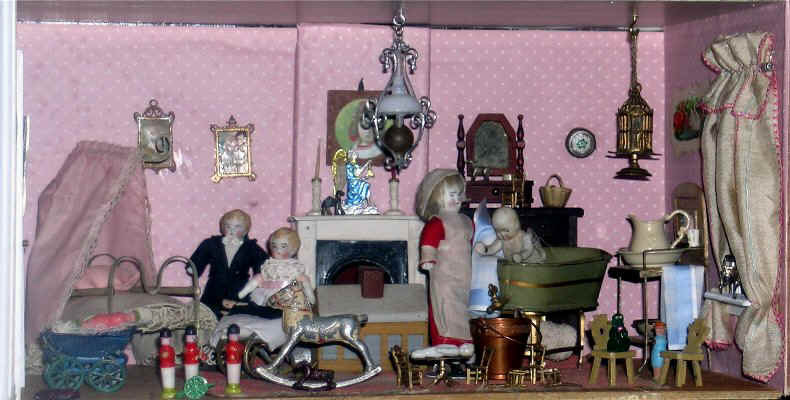 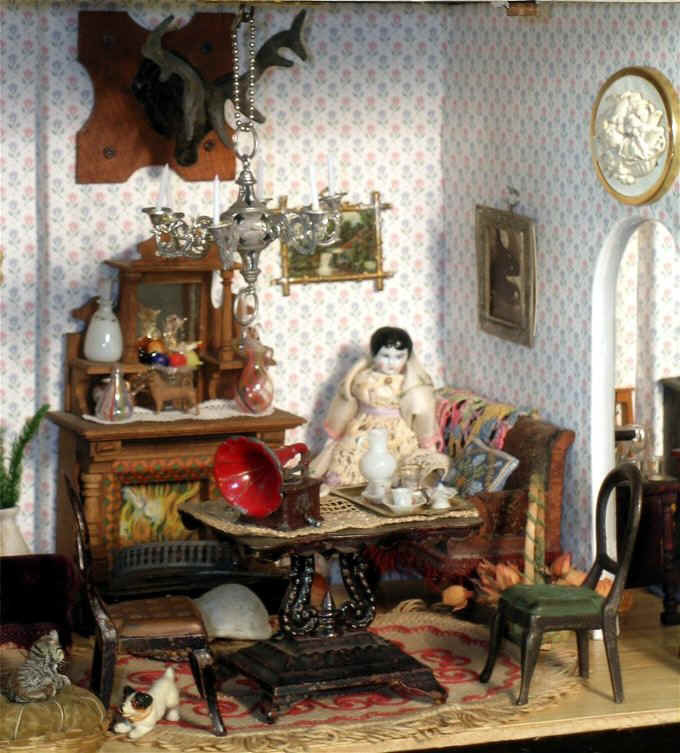 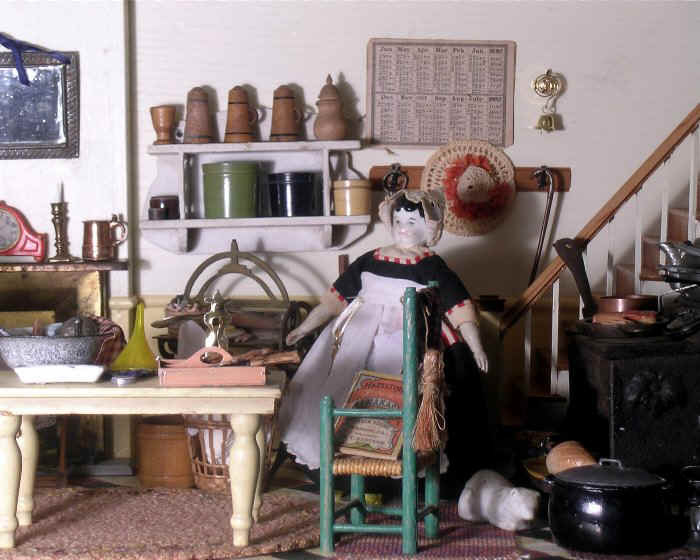 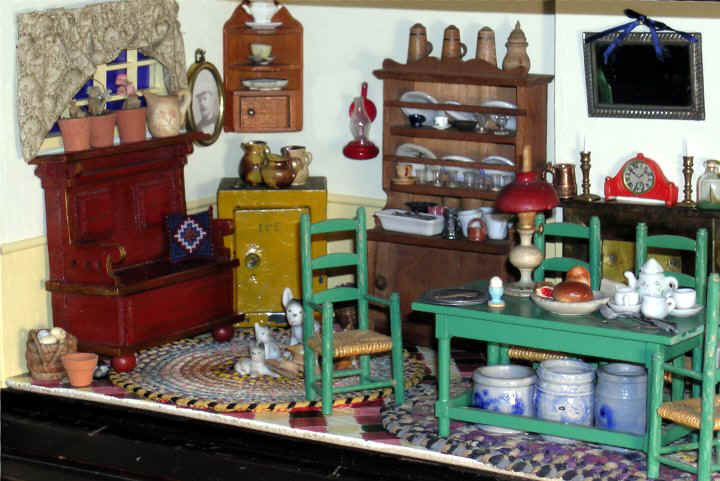 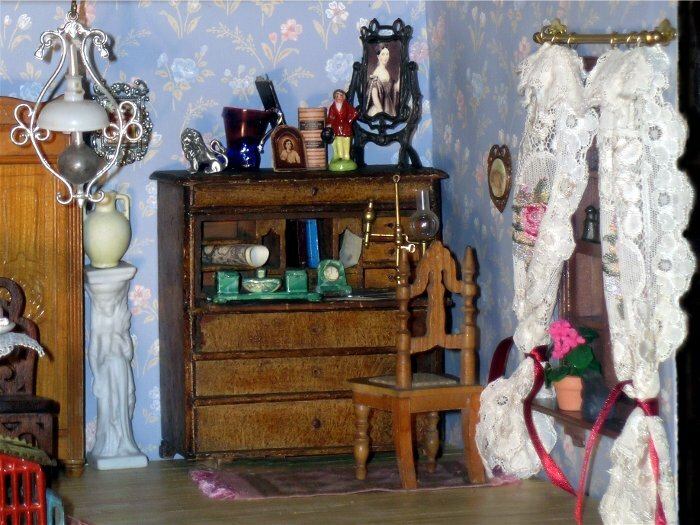 These historic and contemporary images© complement the History of Dollhouses article with more emphasis here on the visual and with minimal text. Currently posted are images dealing with a couple of decades before and after 1900. 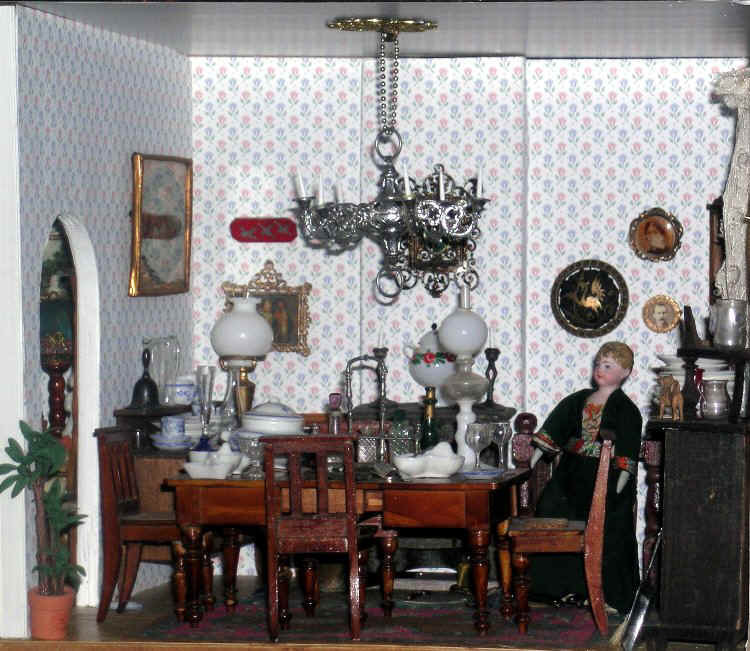 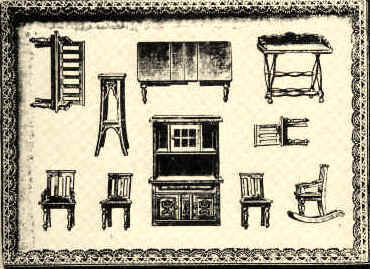 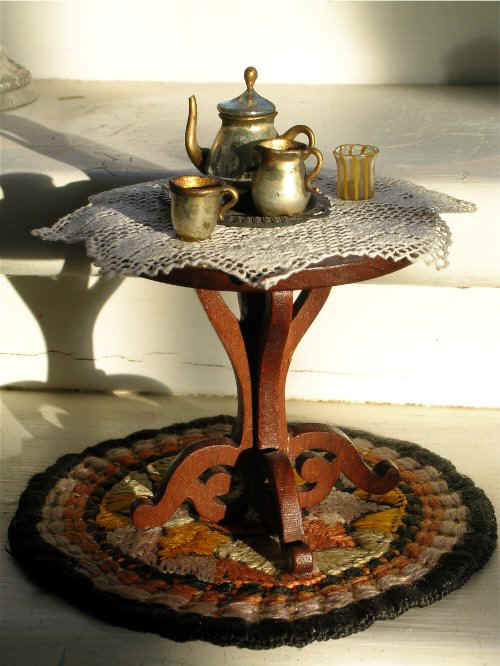 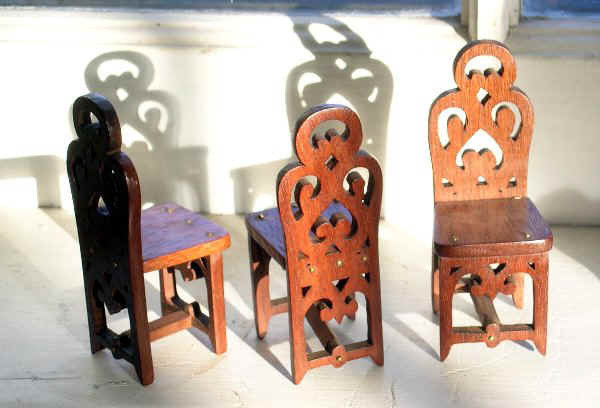 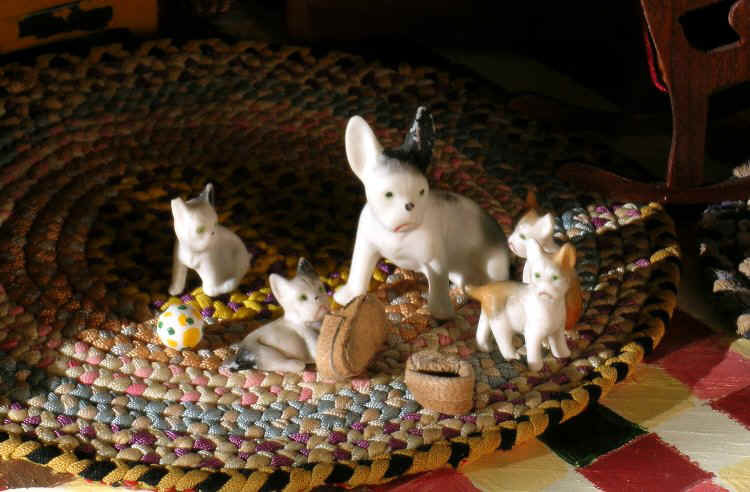 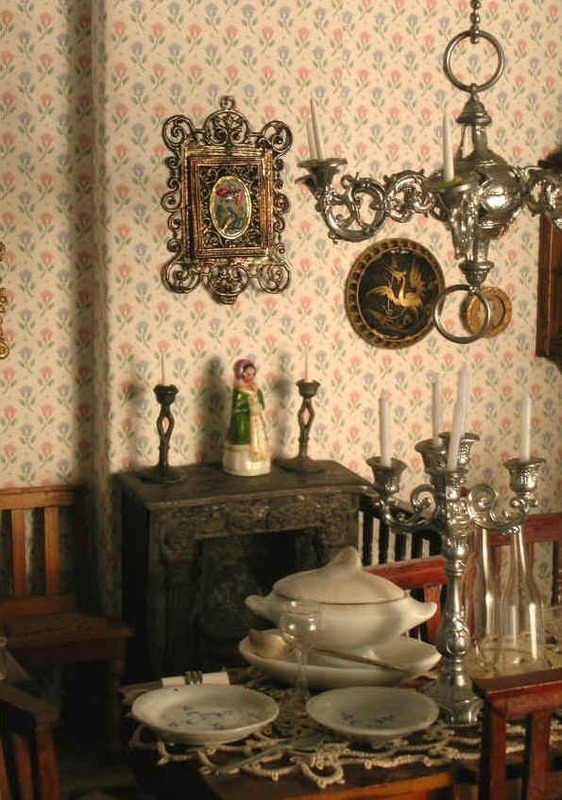 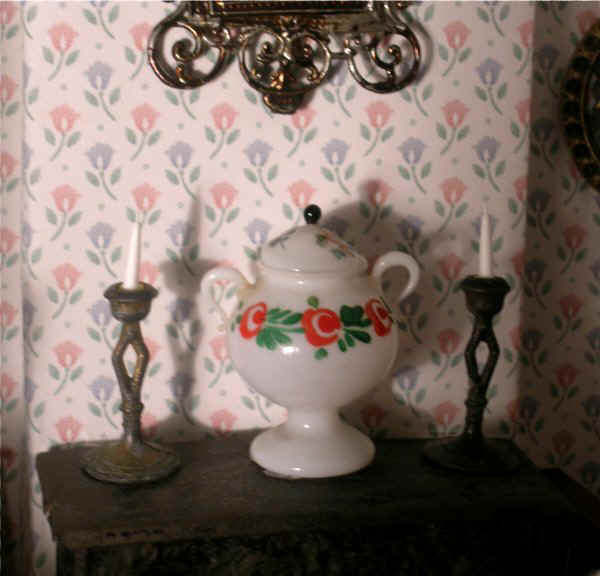 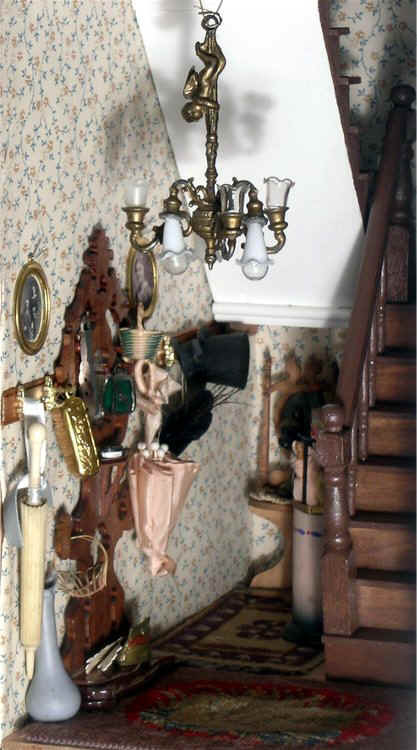 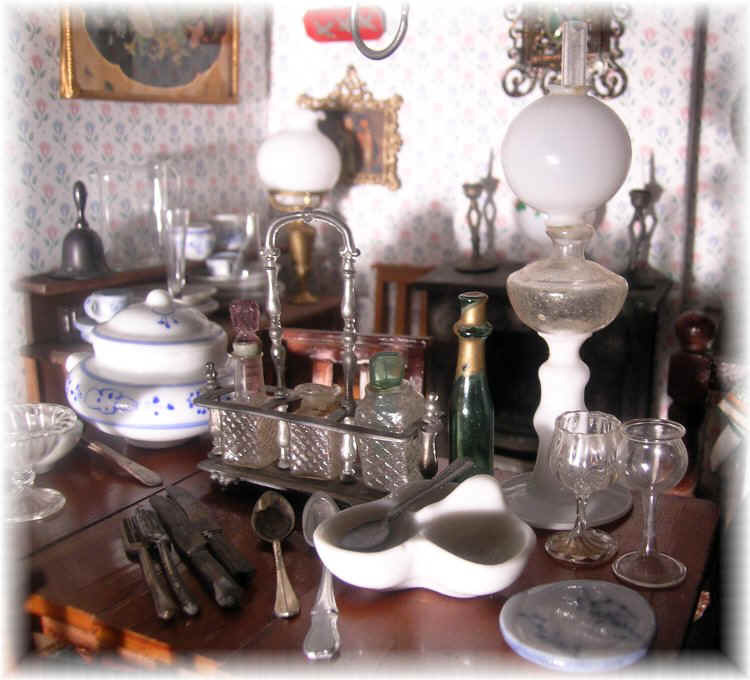 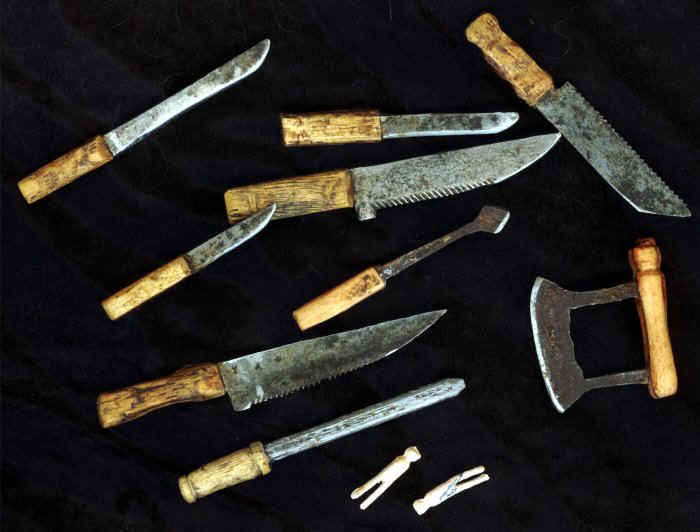 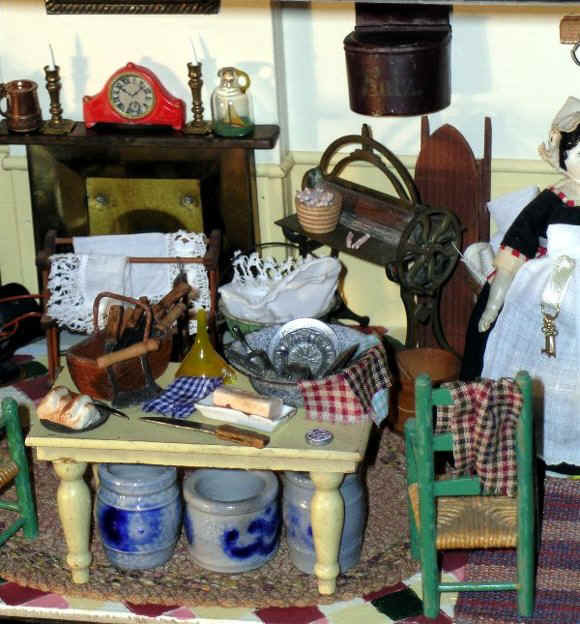 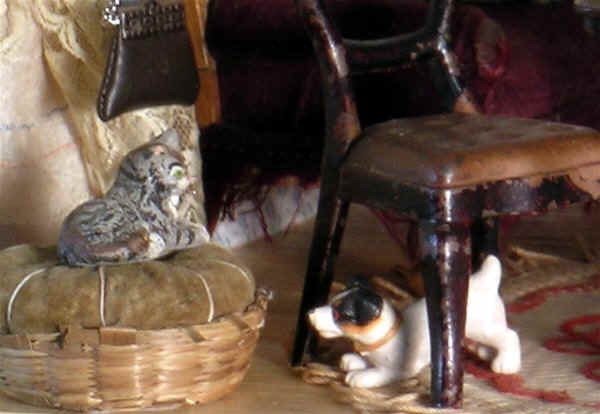 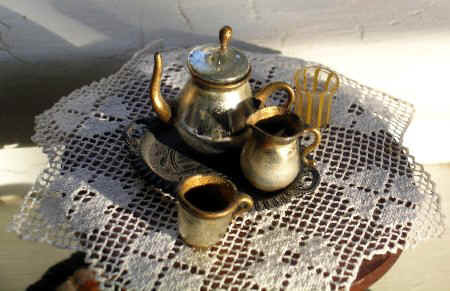 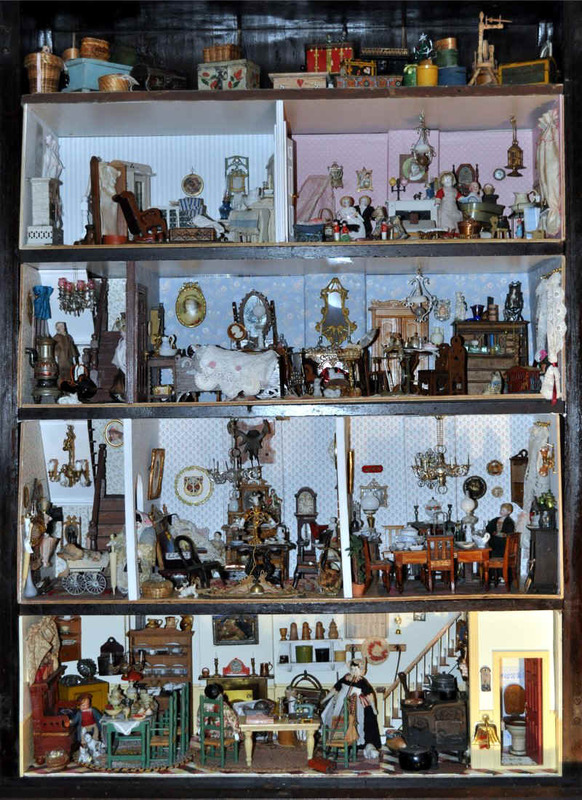 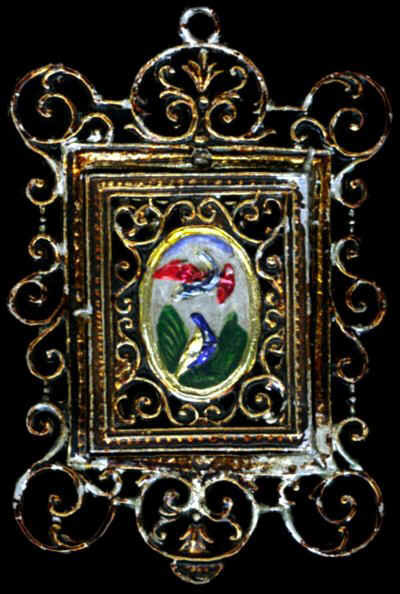 Click here for an INDEX to the sections if you are interested in a specific brand or maker or a general type of furnishings but please feel free to amble through the 8 sections at your own pace and enjoy this "antique world in miniature". 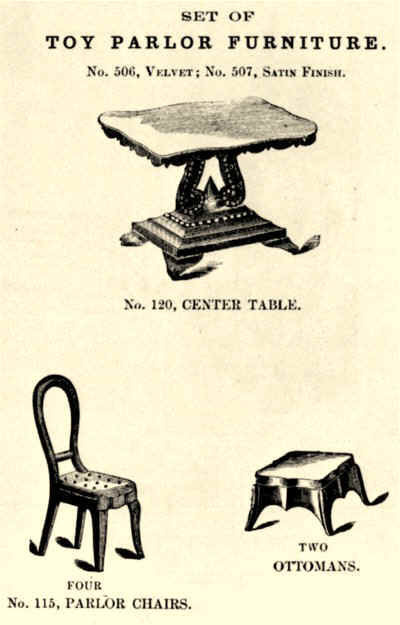 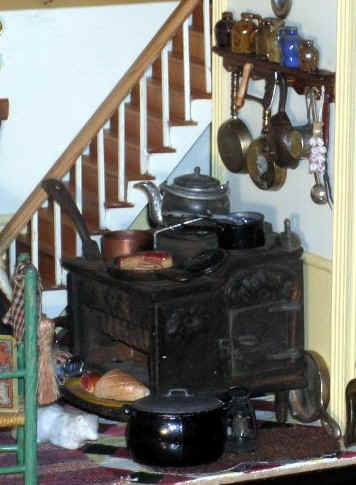 German stag head, oak fireplace and overmantle with shelves and mirror; "talking machine" for playing records c1905; American cast-iron table and balloon-back sidechairs by Stevens & Brown -- page from their catalogue of 1872, Cromwell, Conn.